When disaster strikes, Harvey Lorenz is ready to take the call. 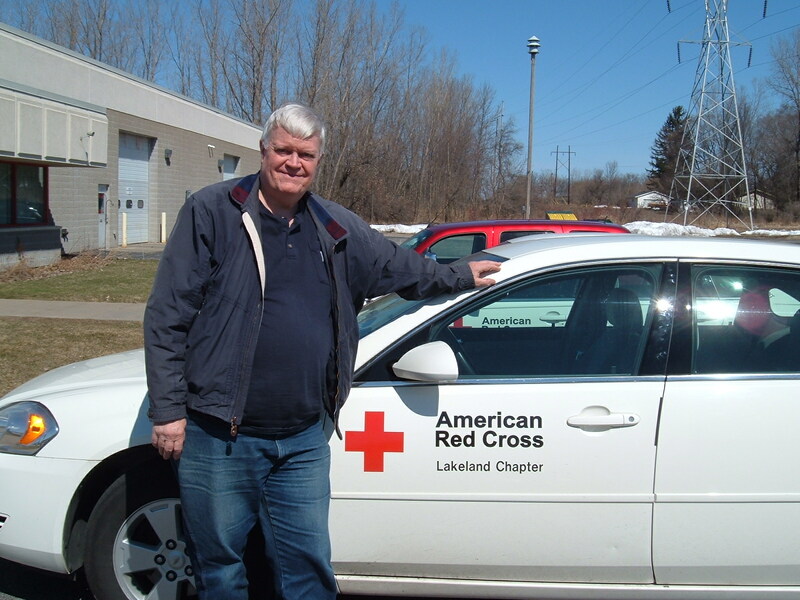 The American Red Cross Northeast Wisconsin Chapter volunteer and Neenah, Wis., resident will deploy to Tallahassee, Fla. on June 29 to serve as a Financial and Statistical Supervisor for flooding cleanup efforts following Tropical Depression Debby. This will be the eighth service deployment for Lorenz, who most recently traveled to Pennsylvania in September 2011 to assist with the aftermath of Hurricane Irene. For Lorenz, it is the pull of service and the quality of the organization that keeps him coming back. He wants to put his years of expertise in the financial industry to a good use. Harvey fills out paperwork in preparation for his deployment to Florida. It is this group he will join to assist those suffering from the effects of Debby.“We do what we can to lighten their load and make their lives less traumatic,” he said. The American Red Cross is providing critical help to thousands of people affected by massive flooding in Florida from Tropical Depression Debby. Nearly 200 Red Cross disaster workers are helping in Florida, where 11 shelters were open overnight. Tropical Depression Debby has dumped as much as ten inches of rain on most of the state, with some areas getting up to 25 inches of rain. Truckloads of additional relief supplies are on the way to Florida and 20 response vehicles are ready to start distributing items to help as the cleanup begins there. HOW PEOPLE CAN HELP Those who want to help can make a donation to support American Red Cross Disaster Relief by visiting www.redcross.org or calling 1-800-RED-CROSS. People can also text REDCROSS to 90999 to make a $10 donation. Contributions may also be sent to local American Red Cross chapters or to the American Red Cross, P.O. Box 37243,Washington, DC 20013. REGISTER ON SAFE AND WELL The Red Cross Safe and Well website is also available. People affected by the fires and flooding can access the site and let loved ones know where they are. There are several ways to register on Safe and Well, or search for a loved one. From a computer, visit redcross.org from a smart phone, visit www.redcross.org/safeandwell or call 1-800-RED CROSS (1-800-733-2767) to be connected with one’s local Red Cross chapter. National Volunteer Week, April 10-16, is a time to celebrate volunteers. This year’s theme, Celebrating People in Action, aptly describes volunteers from Northeast Wisconsin. Red Cross volunteers are doers. Red Cross volunteers are people in action. Learn more about some of the amazing people who give of their time, talent, money and blood to support the organization. Mary Roellchen joined the American Red Cross after the tragedies of September 11, 2001. She was watching the news and wanted to do something more than simply make a monetary donation. She attended an informational meeting that the Red Cross was having, signed up, went through disaster response training, and has been a volunteer ever since. Within her first year at the Red Cross, Mary became a team lead. As a disaster team lead, Mary is on call about every 6-7 weeks and during that time, if her pager goes off, she puts her personal life on hold, and answers the call to help. As part of the disaster team Mary has responded to many national assignments including the tragedies of September 11, Hurricane Katrina, and the 2008 WI flooding. Locally, Mary has been on site for some large disaster situations including the explosion in Ellison Bay in 2006, Lakewood tornado of 2007, and many structure fires. 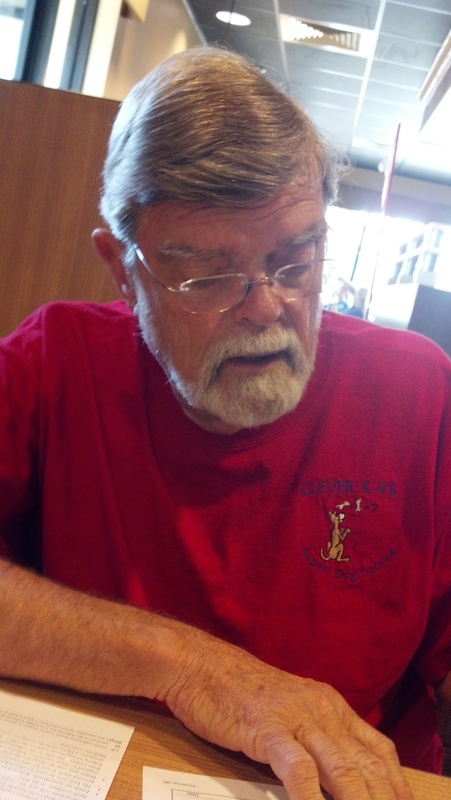 Her brother Joe Gerrits, became a registered volunteer with the American Red Cross in 2010, after helping for many special events with his sister, Mary. He is now a trained disaster team member and responds to calls with his sister. The Disaster response team also works pre and post deployment events for the military units in the area. “The thing that stands out most for me at these events is how grateful the military personnel are when we are the ones that owe them and others like them for the freedoms we enjoy every day,” said Joe. As a transportation driver for the American Red Cross, Mark Riebe is responsible for getting people in need to medical appointments, the grocery store, and anywhere else they may need to go. He enjoys talking with his passengers about the “old days”. The steady increase in gasoline prices has impacted the lives of many in our community. This impact is no different on our Transportation service here at the American Red Cross. Our service provides rides to medical appointments, the grocery store or employment for individuals over 60 or with a disability to enable those individuals to maintain a self-sufficient lifestyle. Typically in a month, we will spend $8,000 on gasoline. The increased gasoline price has raised that expense 25% to now $10,000 a month. The Transportation service is primarily funded through state funds that are passed down to the local level and managed through Brown County via the Aging and Disability Resource Center. This is where the majority of funds are provided to support the service. Additional funding is provided by the United Way of Brown County, individual donors and a minimal rider fee. This overall funding and our investment several years ago in an automated transportation scheduling and routing software and staffing changes has enabled us to manage the increasing cost of gasoline and maintain our fee of $2.00 a ride at this time. It has been almost 5 years since we last raised our rider fee 50 cents to its current level. We understand the need to maintain a low cost transportation option for those on fixed incomes. If gasoline prices continue to rise, we will engage our current funding partners to request additional assistance along with asking for help from our community donors. We will continue to do everything we can to maintain our service at its current fee level to meet the transportation needs of our clients. Published : Sunday, 13 Mar 2011, 3:27 PM CDT – Click HERE for video of WLUK Fox 11 news story. GREEN BAY, Wis. – Green Bay firefighters battled a blaze at an apartment building Sunday for the third time in the past few months. Crews responded to the fire around 11:30 a.m. at 1413 S. Norwood Avenue. Officials say upon arrival, heavy smoke and flames were showing. Everyone inside the complex was evacuated by the time crews arrived. Battalion Chief Paul Arvey said the fire was brought under control in approximately 15 minutes. Three units of the 10 unit apartment were heavily damaged by fire. Land records show the value of the building at $238,600. The cause and origin are under investigation by GBFD Fire Marshals. Several residents were displaced and assisted by Red Cross. No injuries were reported. No damage estimate was available. Investigators are looking into the cause of a basement fire Saturday at an apartment building on Green Bay’s west side. Nineteen personnel responded to the fire about 10:37 a.m. at 417 Rutgers St., said battalion chief Mark Mandich. The fire was put out within 15 minutes and crews made sure the fire didn’t spread and limited damage. Ten residents of the two-story building were evacuated by the time crews arrived. Two women were still inside and later helped to safety. No one was injured and Mandich said the fire does not appear suspicious. The Lakeland Chapter of the American Red Cross is assisting residents of the 12-unit structure. Mandich said most residents should be able to return, but two or three apartments may be not be livable. Damage estimates were not yet available. The property is owned by Packerland Properties & Investment Company and valued at $364,200, according to Brown County land records. 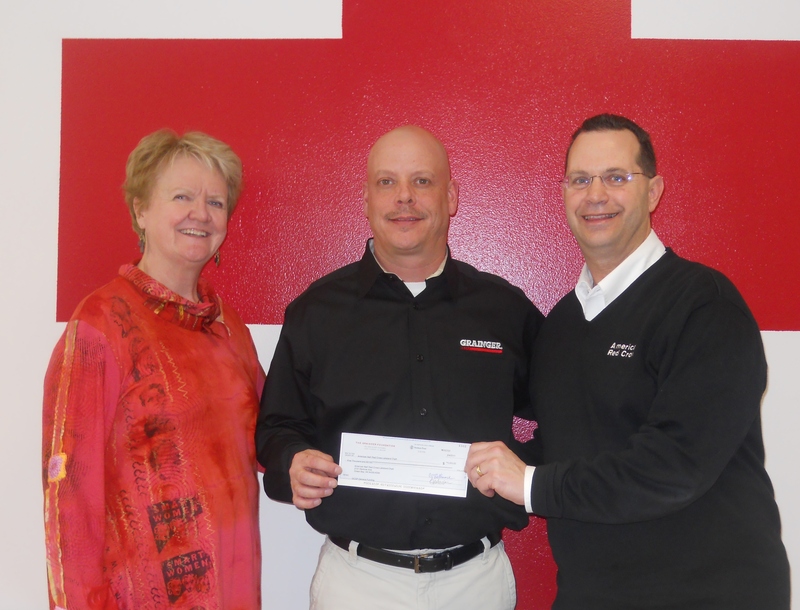 (l-r) Mauree Childress, Director of Development, Eric Nelsen, Branch Manager, W.W. Grainger and Steve Maricque, Executive Director being presented the check. The American Red Cross Lakeland Chapter is honored to be presented with a $5,000 donation from The Grainger Foundation, based upon a recommendation from the local W.W. Grainger, Inc. Branch Manager, Eric Nelsen, for local disaster relief. Grainger has been a part of the Green Bay business community for more than 40 years as the leading broad line supplier of facilities maintenance, repair, and operating (MRO) products.